Live in Chapel Hill and looking to hire a drywall contractor to do repairs around your home? Call Drywall Specialist a skilled expert with years of repairing experience.Have holes, cracks, loose corners or joint tape, call today for a free estimate in Orange County North Carolina. 919-742-2030 Chapel Hill Drywall Repairs Holes Cracks Corners Joint Tape. 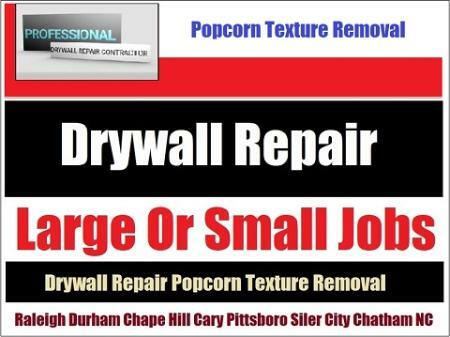 Chapel Hill, NC Drywall Repairing: 27514 27515 27516 27517 27599 27707. Based In Siler City And Servicing The Entire Chapel Hill Area!, NC.